The 12 rules of Christmas: Christmas tips to survive the food and frenzy. I am going to make the shock assumption that most hard-working triathletes know how to eat a balanced and supportive diet to reward the hard training that their bodies agree to. A well thought out nutrient dense diet is imperative if you want to go long and hard for a long time without injury, illness or burn-out 😊. All the various vitamins, minerals, plant and food based antioxidants, amino acids from protein, fatty acids, resistant starches from specific carbohydrate foods, prebiotics and compounds with long names that research keeps identifying in natural foods are important for our health and for the cells, organs, brain, muscles, tendons and ligaments, tissues and even our gut microbiome to function optionally. Food is not only fuel but also provides the structural and supportive ingredients to allow the body to operate, recover, and repair from daily life and training. Don’t forget salts and water; these are very important also. Nutritious food also aids hormone balance, immune system function, and the correct balance of bugs in our guts (these form our first line of defence against bacterial, yeast and viral infections and they also are involved in the digestive process, making some vitamins and neurotransmitters, and gut healing substances called short chain fatty acids; wow!). This diet that we call balanced looks like a diet based on mostly plant foods such as vegetables, fruits, beans, lentils, nuts and seeds; with some whole grains such as oats and rice for example, along with a moderate amount of protein from animal, fish, eggs, and dairy foods. We need all of these foods for various reasons and in varying proportions depending on the work that we ask our bodies to do and our unique and individual constitutions. No one diet is perfect, and this can make the journey rather confusing in how we find the optimal for us. However, for most of us a fad diet, an extreme diet, or a diet eliminating a major food group is rarely needed. The first rule is to choose natural and un- to minimally processed foods with the least amount of chemicals, additives, preservatives and sweeteners added. Yes, your body works hard but no this doesn’t mean that you can just eat anything as a response because we need more than calories. Junk food is mostly empty calories and is lacking in goodness; furthermore, it comes packaged with other stuff that we just don’t need. Many athletes make the next step an extreme but what if you focused on improving your diet by making choices directed by quality, source/location and ethics and perhaps upgrading your cooking or fermenting skills. Our bodies have this amazing thing called HUNGER to tell us when it needs food and sometimes this directs what foods we desire (i.e. cravings for meat or fat or carbs), and SATIETY which is fullness, and this tells us when to stop. If you pay attention, you can learn a lot about what the body needs. This intuitive system works best if you avoid processed foods, junk choices, eating without taking the time to allow the digestive system to operate correctly and excess stress; all of which interfere with this intuitive signalling system. At the end of the day survival is what matters and nothing screams chocolate bar and cake better than eating on the go and emotional stress. What you decide now about what is going to happen over Christmas is exactly what you will get. You don’t have to eat more junk, you don’t have to eat all the chocolates, you don’t have to become a couch potato, you don’t have to gain weight, and you don’t have to drink in excess. Decide now what is going to happen and base your decisions on this. Our choices may vary based on our goals. For example, I don’t want to gain weight over Christmas, I do want to have a break from training, I will enjoy my food, but I won’t go mad. I have already decided this and my usual outcome from these decisions is I will be rested after Christmas, I will have enjoyed my food and I won’t have gained weight. Simple! Why? I don’t want to have to start over in January feeling rubbish about myself. Be prepared for the harsh truth of energy partitioning. A day off from training coupled with a little more calories from food added to enjoying slightly more carbohydrates means that your body (given the finely tuned athlete that you are) will store excess from carbohydrates as potential fuel in the muscle. This stored fuel is called glycogen and for every 1g of stored glycogen you will attract approximately 3g of water into the muscle. SO… for not very much extra food containing carbohydrates added to less exercise/ activity on a well-deserved holiday you WILL SEE THE SCALES GO UP. This is NOT fat, this is NOT increased inches, this is just a stored-up reserve for your next training session. I repeat, over a few days this is NOT REAL WEIGHT but mostly stored glycogen and water weight. Done a few times over the festive season this is perfectly ok and an expected outcome. BUT; taking a prolonged break from training and over-doing the beers, pizza and left-over Christmas cake and pies will eventually mean that your body starts to deposit more fat in stores. Then you are in trouble. I don’t recommend that you weigh yourself if you are only easing up and letting loose for a few days. This is harmless and will be easily lost in a few hard back-to-it training sessions. The good news is that excess protein when eaten in the short-term tends to not impact weight significantly, excess carbohydrates tend to store as muscle glycogen and water, and excess fat, well sorry for you that stores as fat. Make good choices; keeping calorie excess under control however is your safest guard against increasing weight but a few days of extra calories won’t do any harm (days not weeks!). Consider intermittent low carb days. If weight gain is a concern break your Christmas up with a few days of being a little stricter. Intermittent low carb eating has been shown to be successful for weight loss and/ or preventing weight gain and even more successful than daily calorie control. Choose two days in the festive period that are quiet and commitment free and reduce your carb intake while maintaining a high intake of protein, veggies and a moderate intake of healthy fats. This will keep you on track. If you are heading for a meal out, or want the slice of cake, or wish to indulge in a few beers then instead of going all-or-nothing have a think about the whole day and see where you can gain some leverage. For example, if you like dessert perhaps don’t have a starter, if you are having a meal out have a lighter lunch and breakfast (e.g. eggs and roasted tomatoes and avocado for breakfast and soup/ salad and some protein for lunch), if you have numerous nights out corporate entertaining don’t drink alcohol to avoid clocking up extra calories and make a protein and vegetable dominant meal choice such as steak and vegetables or fish and vegetables etc. You can make some clever choices and still enjoy yourself. OR you can just enjoy yourself and this is your decision. NEVER starve and stuff yourself; or stuff and starve yourself… it doesn’t work, it isn’t healthy, and it leads to disordered eating patterns. Avoid all or nothing mentality, and limit punishing yourself afterwards with restriction or over-exercise because this can lead to disordered eating and is negative to our self-esteem and is not considered a healthy relationship to either food or exercise. Eating in a state of unawareness will lead to over-indulgence and reduces our connection to the natural cues to feeling full it also makes it more likely that we suffer indigestion. Make it a goal to eat at the table or with company. Avoid eating on the run, in front of the TV, or while scrolling through your phone. If you have a lot of commitments to travel, shopping and chores don’t let yourself get ravenous and instead bring healthy snacks with you such as dried fruit and nuts, health bars, fresh fruit, beef jerky, etc. Take a time out to eat them. 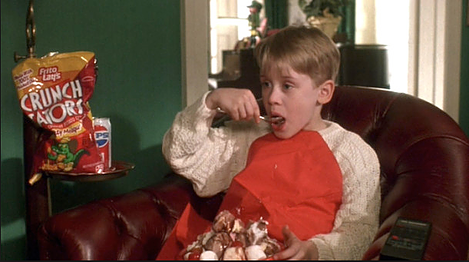 Emotional eating catches many of us at Christmas. How many of you over-eat after a stressful day, when at family events, or after being around frenzied shoppers or manic co-workers? Emotional stress is a major trigger for many of us to over-eat, binge eat or for some to under-eat. Stress also leads to drinking excess alcohol. Although most of us don’t have an issue creating harm; do be mindful of how life triggers reactive choices. Excess exercise is another one that can become a problematic coping skill. I have observed that most of my clients aren’t aware just how much stress impacts their bodies and resultant food choices or how sensitive they are to feeling others’ emotions. Many of us have not made the link between a trigger A and the over-eating/ drinking/ angry training/ binge reaction B. Stress and emotions are felt in the solar plexus which is located in the gut. We often reach for food to block out feelings and emotions; our signalling system jumps to ‘I feel hungry’ instead of I feel insert: overwhelmed, anxious, worried, burnt out, resentful, angry, excited, upset, hyped up, etc. Start to develop a practice of spending some quiet time when you arrive home before you eat. If you are out amongst people find a quiet space at a party, or do something to help to get you moving away from feeling self-conscious or anxious to ground yourself and tune into how you are feeling before you simply eat food to push down all the feelings and emotions. I am incredibly sensitive to others, now that I am aware of this I do simple things to keep myself grounded. For example, at a party I will go and hide in the loo for ten minutes and breathe deeply and relax my body to let go of tension, or when entertaining at home I will create a quiet space by getting busy doing something, if surrounded by insane happy hyped nieces and nephews I will remove myself for a breather, or if around family members for longer than I am able for I will simply excuse myself out for a run. If I am at a night out I tend to drive so that when I go from party hero to zero I have a fast get-out. These are just some tactics that work for me and have ended my feeling frazzled and emotionally burnt out. It’s amazing to me that many of my friends think that I am extroverted and love a party and to talk; but the reality is that I am more introvert than extrovert; I just hide it well. So, if this is you, find some strategies that work for you and avoid throwing yourself into too much without an escape route. Break the Christmas shopping into smaller outings, give people your all but leave when its right for you, see people individually for simple one on one time rather than meeting everyone all at the same time or mix sport and social events so that you can burn off the stress adrenaline. Make your personality traits work for you! Lighten up, don’t take things personally and don’t take other people’s problems personally. Find the good in situations; if you cannot do this then work harder to change your focus. Don’t take on more than you can handle. It’s ok to say no, it doesn’t make you any less. Avoid getting sucked into other people’s drama. Get over your perfectionism; Christmas dinner will still happen. Breathe, relax your body, or alternatively find a person free space and just get angry. Failing this go for a long run and don’t come back until you have let it all go and reconnected your feet back into the ground. Don’t skip meals or allow yourself to get ravenously hungry. Develop strong boundaries that respect you and respect others. Remember the balance of give and take works in a circle be mindful of everyone in your circle. Stop spending too much money – the people who matter only seek love and connection. Laughter and fun adds to this. Finally put things in perspective; generally that thing, person, or event just doesn’t really matter. Let it go, set your mind free from the judgement-criticism-hurt-blame-shame circus. Smart choices can limit unintentional calories. Certain foods and beverages can add extra calories to a meal taking a reasonable meal that we can and should enjoy into one that may covertly pile on the pounds. A few to watch out for: alcoholic or non-alcoholic beverages containing a lot of sugar or cream (e.g. cocktails or cream liquors, fancy coffee and hot chocolate), dressings and relish, gravies and sauces, cream or butter based sauces, larger portions, multiple courses, finger food at parties that are deep-fried and mostly pastry, eating too many slices of bread and butter with the meal. It doesn’t take too many brains to figure what is going to tip the balance; try to make a smart choice. Chocolates, cake, and biscuits in the office canteen add up and you won’t even remember eating them in front of a computer screen. Remember if you have the food in the house you will eat it; limit the over-indulgence to a few days and don’t buy more. Start the day with a protein based breakfast (e.g. eggs/ smoked salmon/ cottage cheese/ Greek yogurt/ sliced meats/ left-over ham and turkey/ protein smoothie). Add some veggies or fruit. Make protein and vegetables the main players of most meals and snacks. Eat your protein on the plate first and then the veggies this will limit over-eating the carbohydrate foods which don’t tend to satiate so well. Prioritise the protein options at a buffet or party. Don’t go crazy on carbohydrate foods but do enjoy some if you wish; sugar rich foods don’t satiate very well and so are easily over-consumed. Portion sizes are important. 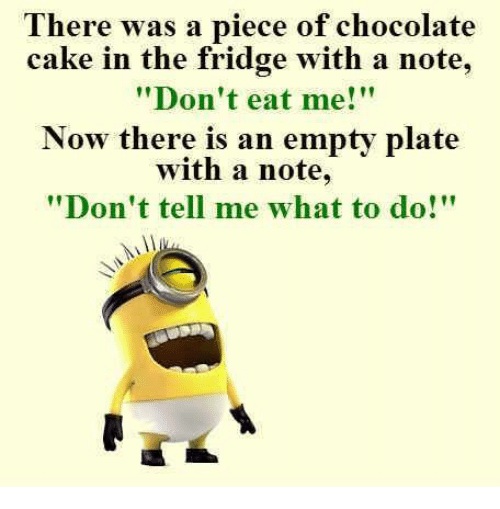 You don’t have to eat the whole cake – enjoy some and then quit, have one glass of wine and not five, decide on a starter OR a dessert or two starters and a dessert or enjoy a large main with all the trimmings and no dessert; got it? It may be worth cutting back on your fat intake over Christmas as this will curb the calories. Fats contain per gram double the calories of protein and carbohydrates. That said, there is nothing wrong with a bit of butter, the odd chocolate, some nuts and seeds, and a splash of olive oil or cream on things. Just don’t think that eating butter bombs, coconut balls or bullet/ bomb-proof coffee is going to have you magically slim by January 1st. Use Christmas as an opportunity to explore new healthy recipes. Google is a treasure trove for finding exciting vegetable side dishes, home-made soups, novel desserts that are tasty and more healthful, snacks that you can trial with a view to using as training fuel (e.g. protein bombs, health bars, fruit breads). Upgrade your cooking and baking skills and enjoy finding new healthier food options. Traditional recipes can be tweaked to make them healthier. Keep up your daily activity levels even if it is not structured training. Get out into the fresh air, do something fun and with friends, join a charity run or bike event, or get out and challenge yourself with something different. Our bodies feel good when they move, our appetite is better and well; it’s fun as much as a rest and change. Some helpful immune supporting foods include all deep coloured vegetables and fruits (especially purple coloured, red and green), garlic, fresh herbs like oregano, rosemary and thyme, cinnamon, fresh turmeric, ground turmeric (best cooked with some fats and black pepper), soup made from fresh bone stock, ginger, mushrooms and fermented foods like kefir, sauerkraut, kimchi, yogurt. When we drink we make stupid choices when it comes to our actions, our words and our food choices; a few drinks are also fun. When we drink we feel like super heroes for the evening and then feel like the walking dead the following day. You are a grown up; so I won’t nag on the obvious here. Have fun, but if you have fun many nights in a row it will cost your health, training, waist line and god only knows what else when it comes to your reputation. PS you cannot sweat alcohol out. The best solution to prevent a hangover is to hydrate well with some electrolytes in water, to take some milk thistle (carduus marianus) drops, and to have a small snack before you hit the sack and then to get a good night’s sleep. Life is too short, do what makes you happy. This entry was posted in Festive eating survival 101, Stress by Andreacullen. Bookmark the permalink.